After an entertaining two days of Sweet 16 action, we’re back for another round of “Best Bets” with two games on tonight’s Elite Eight slate. Yesterday, we hit on both our highlighted bets as Florida State covered its 7-point line and Auburn-North Carolina went over the 165 total. Over the first five days of the Big Dance, we are now 9-3 with our highlighted suggestions - including notable first-round calls of Yale (+7 over Yale), Murray State (+3.5 over Marquette) and UC Irvine (+4.5 over Kansas State). This game features one of the best matchups of the entire tournament. According to KenPom, Gonzaga owns the top-ranked offense in the country while Texas Tech’s defense is also second to none. Both teams have also shown this tournament that they can adapt to their opponents’ strengths. 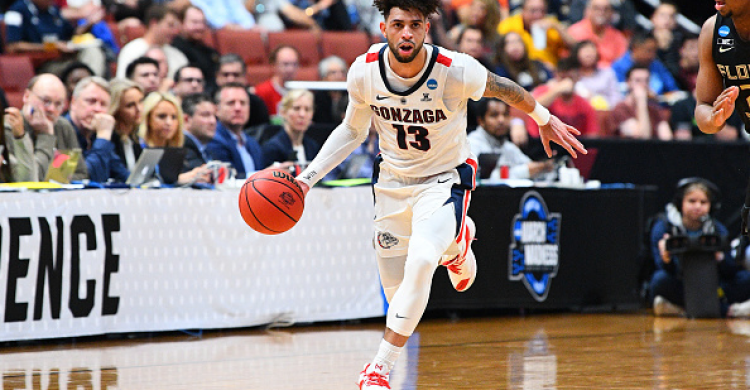 Gonzaga slowed down their offense to match Florida State in the Sweet 16 - and simply became more efficient with its shot selection and attempts to fuel the win. On the other hand, Texas Tech proved it can hang with high-powered offenses when they took down Buffalo last weekend in the second round. The first five minutes of this game should tell us a lot in terms of which direction the game goes. Gonzaga’s offense plays at the 7th-fastest tempo in the nation, while Tech’s D likes to slow opponents down and force bad shots late in the clock. The Zags may slow down their attack a bit to cater to the Red Raiders, but don’t expect poor shot selection from this experienced and well-coached group. On the flip side, Gonzaga’s defense is also very stout (12th in the country, per KenPom) and they like to force opponents to take their time with the shot clock as well (opposing teams play at the 5th-slowest tempo, per KP). Expect this game to be well-defended on both ends with not many three-pointers made and long offensive possessions. Take the under and pray it ends in regulation. While Virginia rightly receives national attention for its stellar defense, Purdue’s D has been largely underrated this tournament and could aide an upset bid on Saturday. Purdue’s defense ranks 28th in efficiency, according to KenPom, and held Tennessee to just 28 first-half points on Thursday - despite blowing a big second-half lead. The Boilermakers have also kept opponents in check from three-point range over the opening three games - holding Old Dominion, Villanova and the Vols to a combined 37.3% from deep. On the other side, Virginia has relied on the three-pointer for much of this season and entered the tournament shooting nearly 41% from the perimeter. However, the Cavs have been cold thus far in the Big Dance - making only 29% of their 80 three-point attempts. If Purdue can keep this trend going in its direction on Saturday, Virginia will have a tough time scoring in general as Boilermakers’ center Matt Haarms is also one of the best rim-protectors left in the tournament. Virginia’s 3rd-ranked defense will no doubt keep this one low-scoring, but Purdue could easily cover the 4.5-point line - and potentially move on to the Final Four outright.